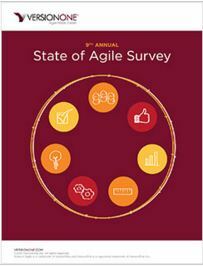 MVB and Continuous Delivery Guide Author Mirco Hering looks at VersionOne's State of Agile Report and how it compares to previous years. What are the typical benefits of Agile? This sits well with me as the usual suspects that we have to debunk are not on this list, e.g. faster time to market (only on rank 7) and cheaper delivery (not in the list at all). How do you measure the success of Agile? Uhhh, tricky one here. I have heard the question many times and honestly have struggled to give an answer that satisfies senior stakeholders. So what did the report say? Good answers, and I think this reflects well on what success looks like. Interesting that some of the items mentioned under top benefits are showing up much lower here. Managing priorities obviously speaks to the product quality and customer satisfaction. But team productivity (29% measure it) and visibility (30% measure it) are much lower on the list. An open question for me is how people would measure productivity in the first place (see my other blog on this). How do you scale Agile? As much as I come across SAFe it is only used by 19% of the respondents with all the other ones even lower (DAD, LESS). The largest proportion just uses Scrum of Scrums or some custom created method. Of the top 5 tips for Scaling Agile at least two are in my top lessons learned too: consistent process and practices and implementation of a common tool across teams. I agree with the other 3 tips as well: executive sponsorship, having a coach, and creating an internal support team. What tools and practices do you use? Wow. I was surprised — but perhaps I should not have been — that Excel and Project are the most used tools… seriously, are we not better than that? Oh well. On the real Agile tools, Jira and VersionOne take the cake with TFS close behind. IBM is much much lower. This represents my position as well, JIRA is certainly the one most used and few people complain about it, especially when integrated with Confluence. Good information here as well. Lack of experience is the main reason Agile fails, and this means that we should make sure experienced Scrum Masters and coaches support new projects. Lack of management support and a non-aligned company culture are the other two main reasons Agile fails. Those are a bit more difficult to tackle but are important to be aware of as you set off on an Agile project. Overall I like the results in the report and it certainly helps to see some market data validating points that I keep making with my clients.